Don't need the full video academy and tutorials? Then one of these template-only packages is for you! 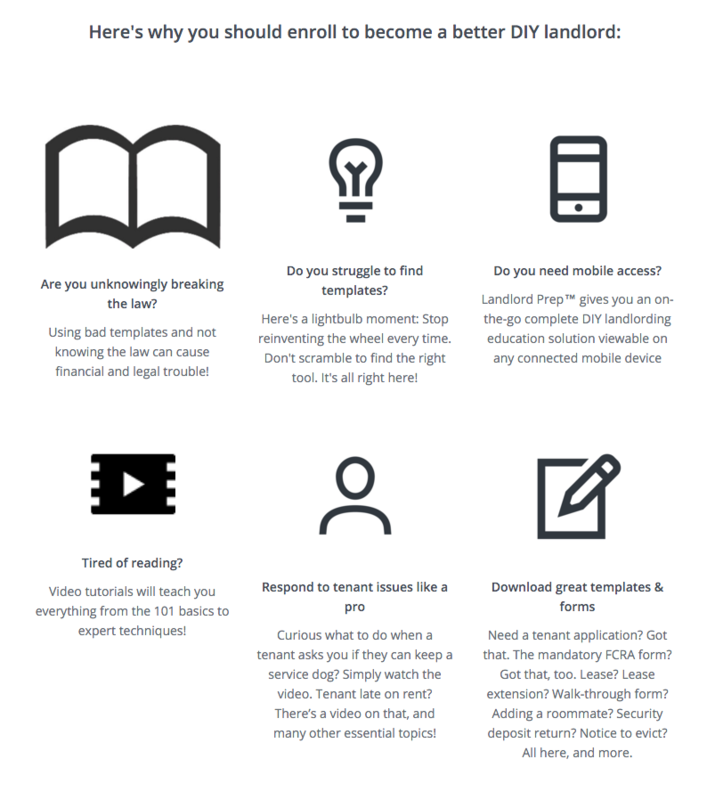 Contains the eight (8) critical templates you need in order to screen and qualify a potential tenant. GREAT VALUE! 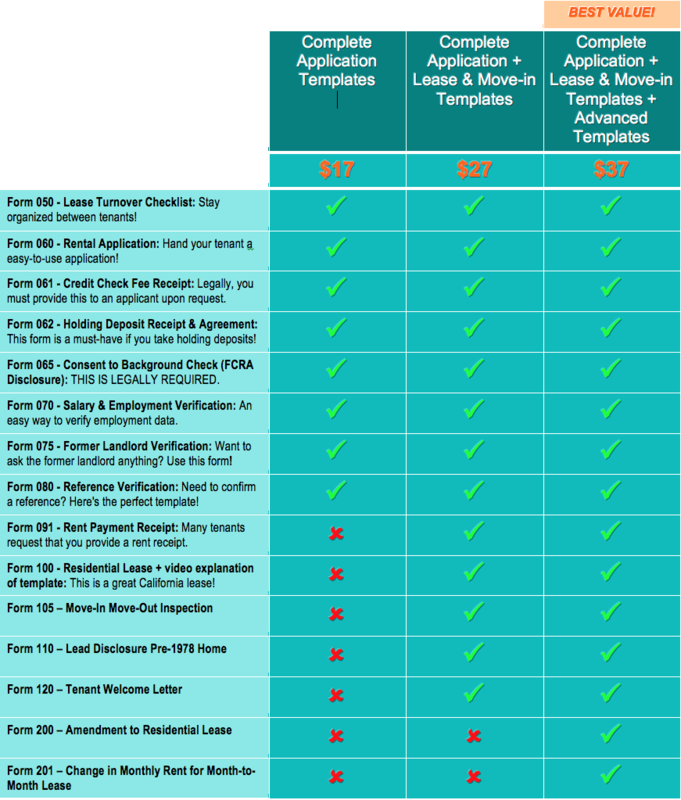 Contains the 8 critical templates you need in order to screen and qualify a potential tenant, PLUS also contains 5 Critical Templates for the Tenant Lease & Move-in Process, PLUS Video Walk-Through of Each Template! BEST VALUE! 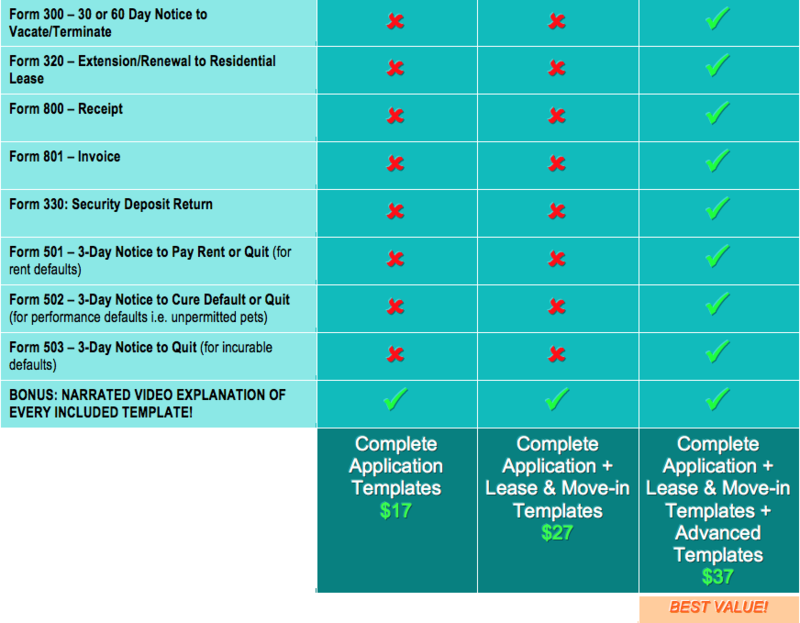 Contains the 8 critical templates you need in order to screen and qualify a potential tenant, PLUS also contains 5 Critical Templates for the Tenant Lease & Move-in Process, PLUS 12 advanced templates PLUS Video Walk-Through of Each Template!